An old school bach with a lovely feel. Private outdoor seating area, and large open plan kitchen / dining/living space. Wash off from the beach under the heated Outdoor shower (gas hot water to the outdoor shower and the bathroom). No parties, no evening visits over 10 adults without permission and no noise outside after 10.30pm. Well insulated - easily heats with one oil column heater. dvd/video player. A selections of old videos available. Great place , location was perfect, recommend anybody even just for a breakaway weekend. Hoping to return real soon. Thanks to Fiona . This traditional kiwi Bach has all you need for a comfortable stay. It is well equipped with a lovely outdoor area and BBQ. We particularly liked the outdoor shower which was great after a day at the beach. The location is fantastic - a couple minutes walk to both the beach and the shops. We really enjoyed our family holiday here, and would love to return in the future. A hick up with arrival was the only negative, but that was due to a technology failure. a cool place with lots of space, nice outdoor area, a short walk to the beach along the walkway. Outdoor shower with hot water big thumbs up! 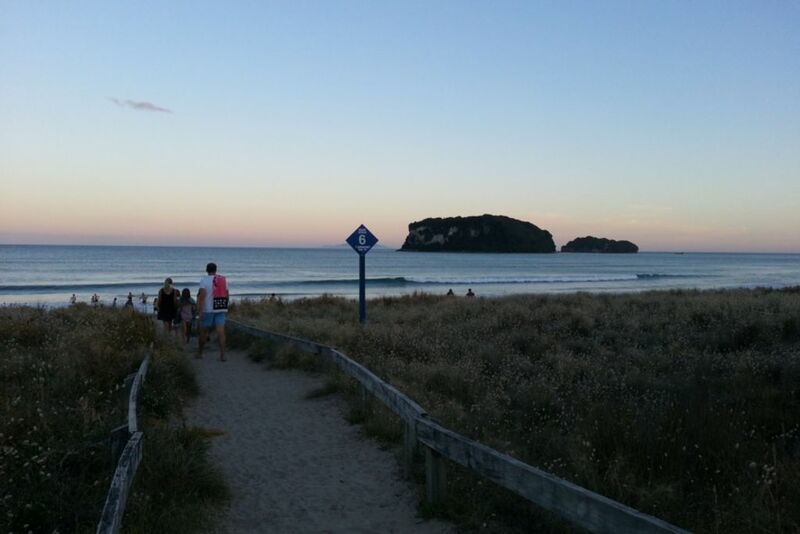 The Bach was perfect for our week in Whangamata . The Bach has a good layout. We particularly loved the outdoor shower. Nice modern bathroom. The beds were comfortable. The outdoor seating area was nice and private. We definitely would love to go back. Simple place with a lovely homely feel with family pics and surf boards adorning the walls. Simple place with a lovely homely feel with family pics and surf boards adorning the walls. The double beds were very comfortable! Feel in love with this kiwi bach! Such an awesome weekend away, kids and adults loved it. Feel in love with this kiwi bach! Such an awesome weekend away, kids and adults loved it. Would love to book again! Bach has everything you need and more!! A+ from us.